Nov. 24, 2017, 11:47 a.m. The Peasant Farmers Association of Ghana is cautioning government to invest in seed production to sustain the Planting for Food and Jobs programme. According to the association, the current phenomenon of importing seeds for local farmers is expansive and sometimes unable to withstand Ghana’s weather pattern. Speaking to journalists at a post-budget forum, a Programme Officer of the Peasant Farmers Association of Ghana, Charles Nyaaba expressed disappointment that the budget did not lay down plans under the Planting for Food and Jobs to develop local seeds. “We are particularly concerned about the silence of the budget on the quantity of inputs (seeds and fertilizers) to be provided in 2018 for the targeted 500,000 farmers. We expect early negotiations with suppliers of subsidized fertilizers and seeds to forestall delays and make it possible for the inputs to be in stock in the regions and districts prior to the 2018 major planting season,” he said. 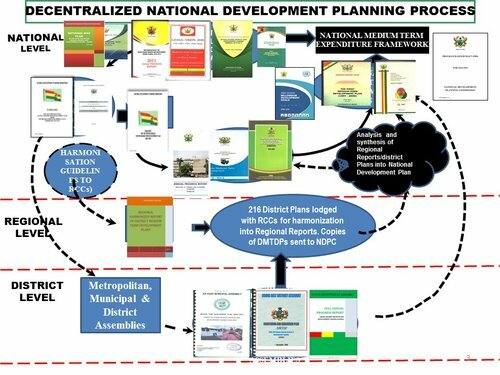 Pointing out some more challenges in the budget, Mr. Nyaaba observed that the association was also disappointed in government’s failure to create the necessary condition to build the capacity of local seed producers to enable them produce to meet the local demand, rather than relying on imports. He stated that there is no specific resources allocated for research scientists to come up with new innovations such as soil nutrients suitability test, improved local seeds, discovery of pest and diseases control strategies as well as improved agronomic practices. Mr. Nyaaba added that another major problem in 2017 was fertilizer smuggling. “There were series of reports of smuggling of subsidized fertilizer to neighbouring countries. We were hopeful that adequate measures and resources would have been allocated for the monitoring of these inputs, but that was not vividly captured in the budget”. On extension service delivery, Mr. Nyaaba lauded government on the move to recruit 2,700 extension agents for 2018. “This is good news in correcting the appalling extension-farmer ratio of 1:3,00 (PFAG, 2013). However, other challenges associated with provision of extension services have not been adequately dealt with”. He, however, pointed out that, there is no mention of provision of logistics for the existing and new extension agents to make them work effectively, since a lot of extension agents still complain about lack of resources. “We expect that the existing and additional extension staff recruited must be provided with the necessary logistics to be able to offer desired services, deliver results and recoveries of inputs,” he stressed. Governments’ commitment in the 2018 Budget Statement and Economic Policy to structurally transform the economy is welcome news to Peasant Farmers Association of Ghana. Aside the implementation of the flagship programmes and initiatives for the sector which commenced in 2017, the new initiatives outlined for implementation in 2018 are reassuring and we commend government on that score. • Akufo-Addo’s Plan for Agricultural roads (GH¢500,000,000). Even though budget allocation to MOFA reduced from 759,676,342 in 2017 to 598,620,435 in 2018 representing 21.2% reduction, the allocations intended for the agricultural sector in general is commendable. It must be noted that in general, as an economy develops and diversifies, the primary agricultural sector will lose its weight in terms of GDP contribution but must develop strong linkages with the rest of the economy. This shows that the decline in the agriculture’s contribution to GDP is inevitable. What needs to be done is that strong backward and forward linkages must be developed within and outside the sector to support and promote the development of rural infrastructure and livelihoods. The services sector has seen a rise from 51.1% in 2010 to 55.9% in 2017 and is currently the largest contributor to GDP whiles manufacturing stands at 24.3%. Ideally it is expected that with the government’s aim to industrialize the economy, there should be an increase in industrial growth. The sector is expected to grow by 4.3% by the end of 2017, and 4.5% by the end of 2018. Both are less than the CAADP target of 6%, though they are improvements over the 3% in 2016. We therefore hope to see more investments that favour smallholder farming for increased productivity to ensure that we are able to meet the target envisaged by the CAADP. Also, PFAG hopes that, the implementation of the 2018 budget, would pay more attention to the under listed areas, due to their importance to food and nutrition security, poverty reduction and raw materials needed by agro-based industries. The 2017 performance of the PFJ programme vis-a-vis the set targets, is commendable. However, we expect that challenges associated with its implementation; thus, late procurement of seeds, weak infrastructure, default in payment to suppliers of inputs, weak monitoring, will all be forestalled in the 2018 planting seasons. We are particularly concerned about the silence of the budget on the quantity of inputs (seeds and fertilizers) to be provided in 2018 for the targeted 500,000 farmers. We expect early negotiations with suppliers of subsidized fertilizers and seeds to forestall delays and make it possible for the inputs to be in stock in the regions and districts prior to the 2018 major planting season. Another major problem in 2017 was fertilizer smuggling. There were series of reports of smuggling of subsidized fertilizer to neighbouring countries. We were hopeful that adequate measures and resources would have been allocated for the monitoring of these inputs, but that was not vividly captured in the budget. We are also disappointed in government’s failure to create the necessary condition to build the capacity of local seed producers to enable them produce to meet the local demand, rather than relying on imports. There is also no specific resources allocated for research scientists to come up with new innovations such as soil nutrients suitability test, improved local seeds, discovery of pest and diseases control strategies as well as improved agronomic practices. In terms of extension, the PFJ programme is expected to recruit 2,700 extension agents for 2018. This is good news in correcting the appalling extension-farmer ratio of 1:3,00 (PFAG, 2013). However, other challenges associated with provision of extension services have not been adequately dealt with. There is no mention of provision of logistics for the existing and new extension agents to make them work effectively, since a lot of extension agents still complain about lack of resources. We expect that the existing and additional extension staff recruited must be provided with the necessary logistics to be able to offer desired services, deliver results and recoveries of inputs. Food contamination including aflatoxin is also a major issue in Ghana. Ghana was recently banned from the European market due to poor quality and standards of selected crops. We were expecting budget allocation to address post-harvest losses, food contamination, standards and regulations on quality food. It was also necessary to make provision for Plant Protection Regulations and Services Directorate (PPRSD) to function effectively and perform monitoring and regulatory function on quality and standards of food. Whiles we commend government for taking bold steps intended to reduce post-harvest loss through the one district one warehouse programme, continuation of the Ghana Commodity Exchange Programme, provision of the Farmer Service Centres, distribution of equipment and construction of several feeder roads, we expect adequate allocation and timely delivery of these initiatives. We also caution against some politicians who take advantage of vulnerable farmers to monopolize these facilities for their personal interest to desist from it before they are exposed by farmers. To achieve food and nutrition security, adequate food in terms of quantity, quality, safety, socio-cultural acceptability must be available for all. Improving nutrition especially for children under five and women is critical in ensuring that there is optimal growth and development. Food security, as defined by the United Nations’ Committee on World Food Security said that: “it is a condition in which all people, at all times, have physical, social and economic access to sufficient safe and nutritious food that meets their dietary need. Unfortunately, there is no indication in the budget targeting the production of nutritious food. All the investment is on selected supposed import substitution crops. There is limited attention on nutritious crops such as bambara beans, farafara potatoes, groundnuts, cowpea, local vegetables and fruits which contain high levels of iodine. Other nutritious products such as domestic livestock were all ignored in the budget. This is likely to worsen the nutritional state of poor and vulnerable groups in rural areas. The invasion of the Fall Armyworms in the last planting season caused havoc to major farms in the country affecting 137,479 hectares though 123,232 hectares were recovered. This means that a total of 14,247 hectares of farms were affected and destroyed, of which thousands of farmers were affected. Under the Akufo Addo Program for Economic Transformation (AAPET), a GH¢400 million fund is to be set up de-risk the sector. There is no detail on how this fund will be used, leaving so much discretion on the managers to decide on where to direct these resources. We are not also certain if these funds will cater for compensation for farmers whose crops were destroyed by the army worms. In addition, the budget is silent on the expenditure allocation for next year’s planting season vis-à-vis building a strategic stock of pest control mechanisms as well as intensify farmer education and increase monitoring and surveillance. Equipping Ghanaian researchers with logistics to face future outbreaks was also left out in the budget. We expect clarity on the multiplicity of initiatives adopted by government for the agricultural sector. This brings confusion and breeds duplication resulting in ineffectiveness and we expect government to come clear on them. For example, 2017 agricultural initiatives mentioned under other programmes still come under the new 2018 Akufo Addo Program for Economic Transformation (AAPET) initiative. The same can be said about the extension support to farmers under the Nation Builders Corps (NBC). Also, how is the GH¢400 million proposed fund to de-risk the agriculture and agribusiness sector different from the Ghana Incentive-Based Risk Sharing System for Agricultural Lending (GIRSAL) proposed in 2016? Also connected is the establishment of the fifty (50) Farmer Service Centres to enhance mechanization, increase productivity and reduce post-harvest loss. In the first instance, the budget doesn’t provide the total expenditure for this initiative, and the source and sustainability funding. This gap is likely to stall the timely implementation of these initiatives. In addition, there are existing but non-functional AMSECs and we are unaware of any plans to revitalize them, just as government is planning to do with NAFCO and others. As Ghana struggles to achieve food security, it’s obvious that significant economic and social progress cannot be attained without marked improvement in the productivity of smallholder farmers. 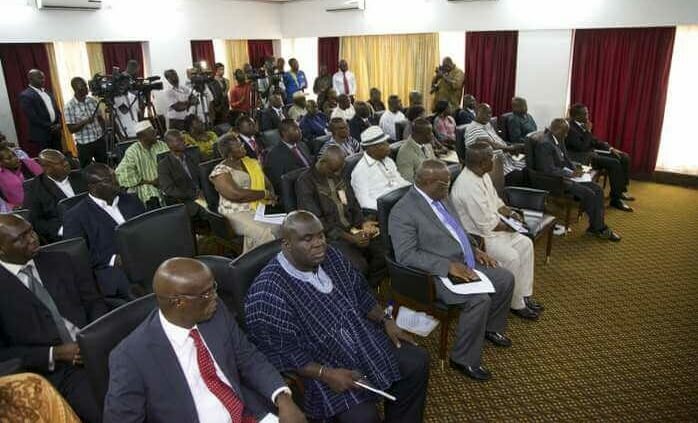 With ambitious initiatives for the agriculture sector outlined in the 2018 Budget Statement and Economic Policy of the Government of Ghana, it is expected that agriculture will from hence get adequate share of the total GoG budget. 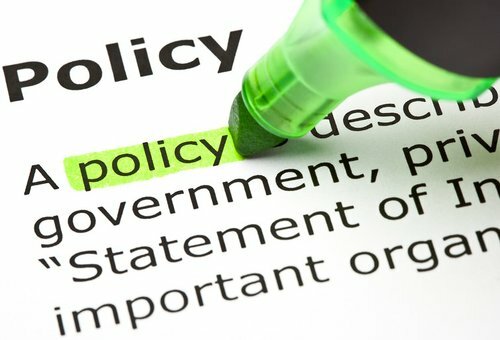 We also expect that relevant government agencies must conduct timely and regular assessment of implementation performance of interventions set out in the budget for the sector, whiles M&E results of development interventions must be disseminated and communicated to the citizenry to ensure accountability, improve interventions, and motivate stakeholders to action.